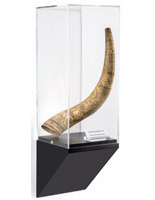 These museum display supplies are high-end pieces of showroom furnishings that do not detract attention from the historic artifacts or original artwork displayed on them. 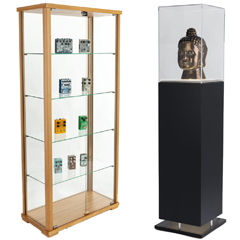 Designed with the highest quality materials, these information systems, artistic displays, cases, and stands compliment ay exhibits art collection. 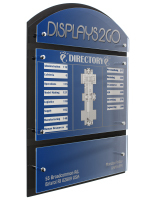 Browse this selection for signage options such as wayfinders, name plates, and information panels as well as general holders including plate and bowl stands, and picture frames. 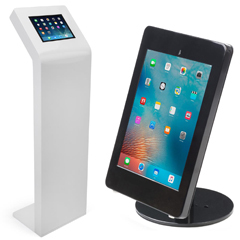 Museum exhibit showcases, pedestals, and stands do justice to fine art collections while providing protection for these valued artifacts. 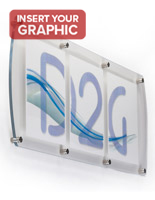 Likewise, gallery signage fixtures create an informative and effortless viewing experience for guests. 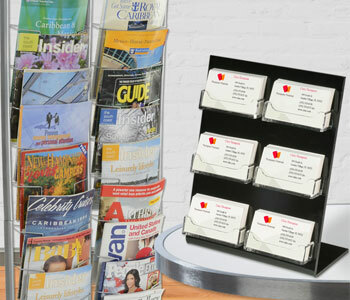 Our selection of museum display supplies help exhibitors design engaging and enlightening information systems and artifact showcases. 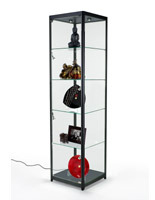 You’ll need to protect and highlight antiques, paintings, scultures, fossils, and heirlooms among other valuable historical items. 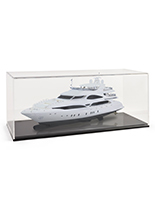 These aesthetically pleasing products do not draw attention away from the objects being displayed, but maintain an upscale feel in high-end exhibits. 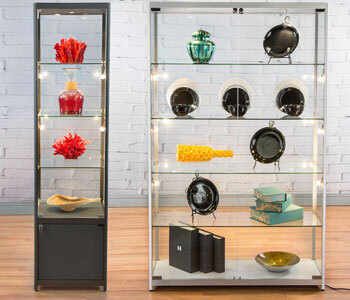 This selection of artifact displays will get you started with presentation ideas, including plate and bowl stands, picture hanging systems, and artistic mounts. 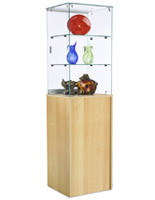 Keep in mind, different types of gallery fixtures are ideal for showcasing various styles of artwork. 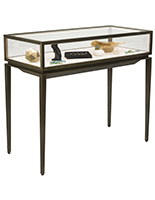 Choosing the right furnishings to fit a collection of minerals and fossils versus ancient pottery or sculptures can be daunting, so we have you covered with these museum display supplies! 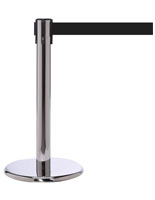 When planning your showroom, consider what information systems, wayfinders, stanchions, and barriers will best direct guest through the exhibit. 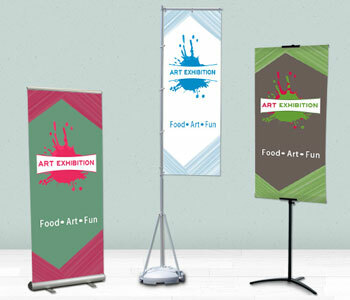 Also, ensure that the style of artwork matches the mount or stand it is presented on. 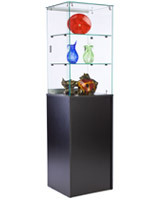 For example, there are bound to be issues if an antique vase is simply too small for its artifact display, and may seem out of place. 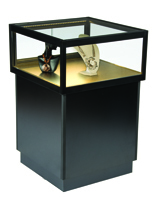 If an intricate piece of 18th century jewelry is showcased in a dark corner of the gallery, visitors won't be able to appreciate its beauty without proper lighting. 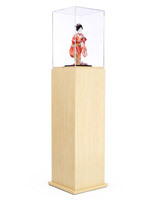 The fixtures that your features art, artifacts, and historical pieces are displayed in should be equally as appealing as the exhibit itself, but not detract from the presentation. 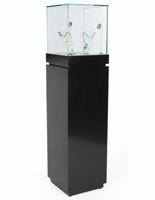 High-quality, aesthetically pleasing fixtures including these museum display supplies protect rare items such as dinosaur fossils or exotic minerals behind a locking case. 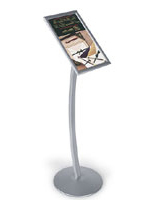 Our most popular art gallery products include a large selection of illuminated museum exhibit showcases, including mineral, fossil, plate, and book stands. 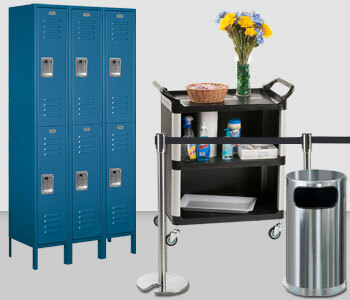 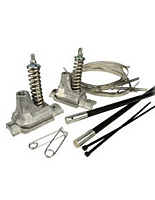 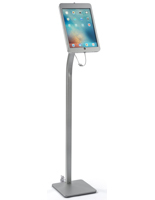 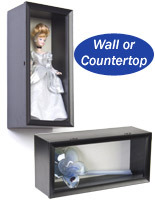 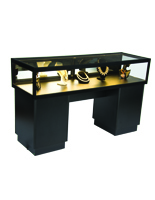 These pedestals and cabinets are some of the most essential furnishings to the industry. 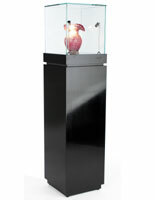 To highlight one special artifact, such as a vase or sculpture, browse a pedestal design that features built in LED lights. 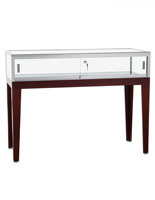 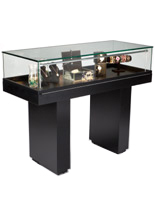 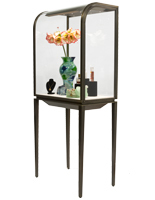 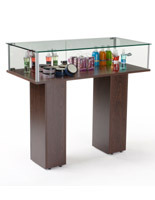 To exhibit larger collections, try a glass top table with locking doors and tempered glass sides. 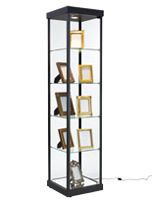 For an even larger series of art, use a mirror backed standing cabinet with wide tempered glass shelves. 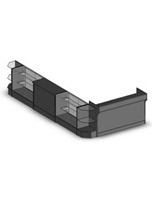 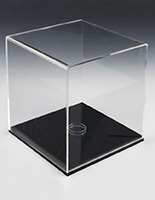 Conveniently, most of our museum display supplies are locking and include tempered safety glass. 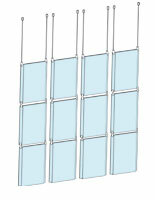 This type of glass, if broken, is designed to shatter into small blunt pieces that are less damaging than the typically jagged shards of standard glass. 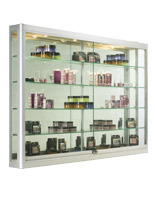 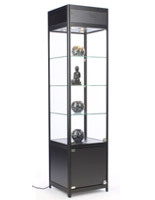 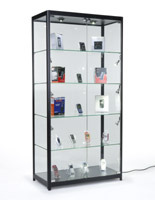 Rest assured that with these museum quality display cases, your valued exhibits will stay protected and secure. 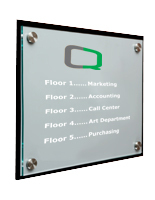 Beside the display of art, galleries also have a responsibility to make the building user friendly and easily navigable for visitors. 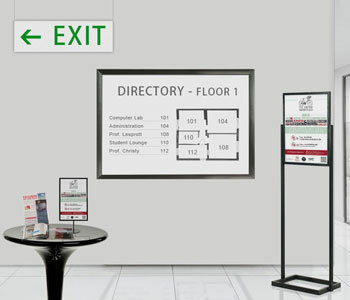 Information systems, including museum signage plays an important role in providing guidance to guest and improving their experience. 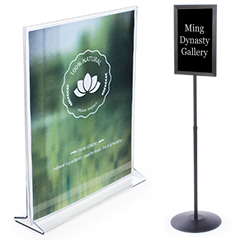 Additionally, these signs are perfect for providing interesting tidbits and historical information about the pieces being displayed. 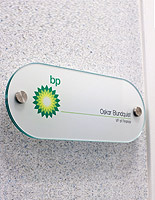 Curators and exhibitors use standoffs with clear acrylic panels to wall mount artist information alongside their work. 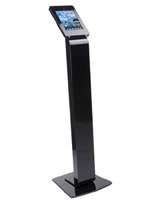 Museum directors can also place a floor standing 8.5" x 11" sign holder in a hallway to indicate the direction of the natural history room or usher guests into the gift shop. 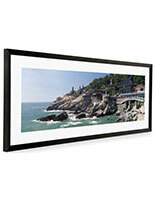 Snap frames are convenient for changing posters in museum settings since exhibitions change quite frequently. 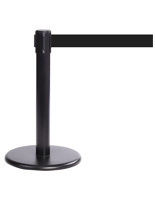 In admission ticket lines, museum operators can use the stanchions and barriers with retractable belts seen here to keep queues orderly. 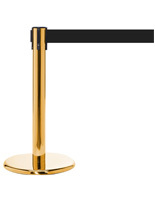 For a high end appearance, purchase velvet ropes for stanchion lines. 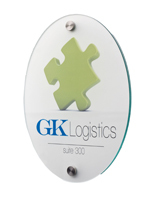 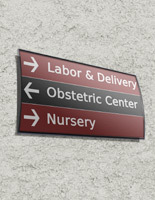 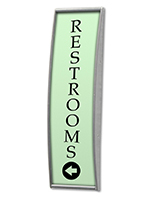 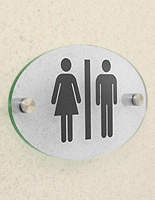 To indicate entrance and exit location, custom sign tops are also available. 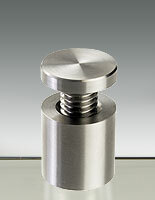 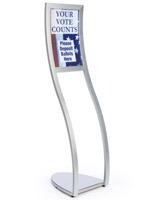 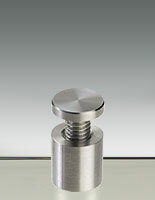 Museum stanchions are also used to section off important relics that shouldn't be approached or touched. 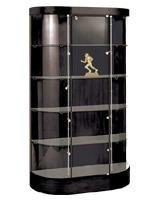 In an antique car museum for example, you may want to cordon off an area around a limited edition or high value model. 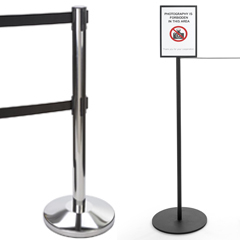 This buffer zone will not only keep the treasured car safe, but it will also prevent visitors from getting hurt. 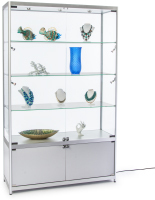 When it comes to outfitting your museum, it is important to find aesthetically pleasing fixtures that truly bring the spirit of your items to life. 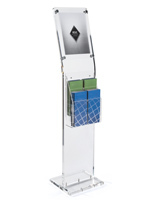 Artifact displays, information systems, and book stands are just as big of a part of your exhibits success as the attractions themselves. 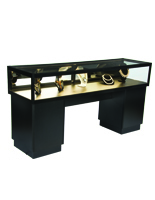 Browse our selection plate and bowl stands, as well as mineral and fossil locking display tables to showcase rare items. 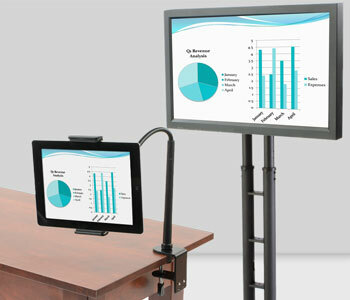 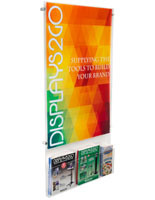 Find everything you need for your museum exhibit come to life these industry selections from Displays2go!